Jones, Keith. 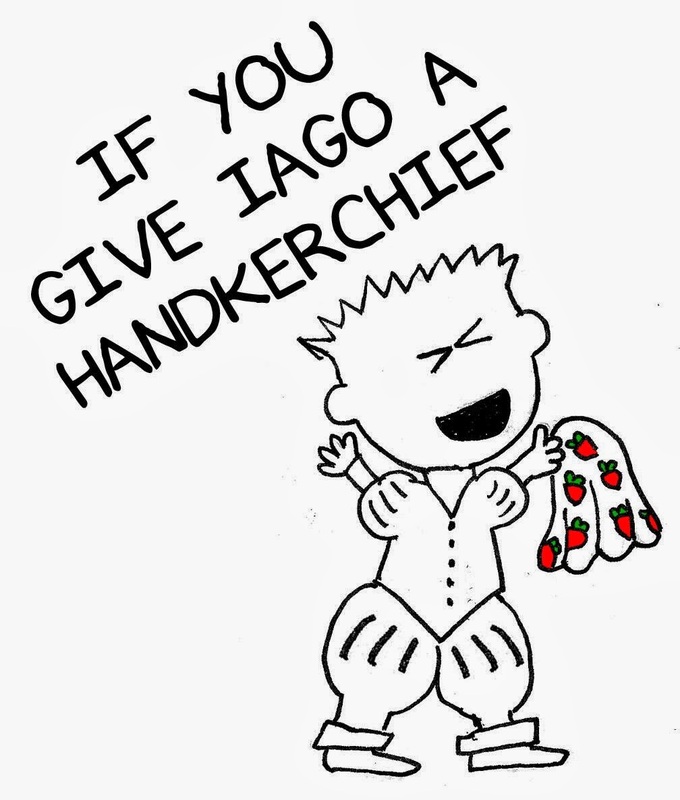 If You Give Iago a Handkerchief. Bardfilm. N.p., 3 November 2013. Web. 3 November 2013. Illus. by Mya, a.k.a. @GoodTickleBrain, Shakespearean Web Comic Artist. I don't have the illustrative skills of—to choose an illustrator at random—Felicia Bond. But, thanks to the efforts of @GoodTickleBrain, I have an opening illustration! Nor am I an accomplished children's book author like—again, a random choice—Laura Joffe Numeroff. But I do know the plot of Othello, so I've written a children's book version that is sure to please adults and kids alike. You'll just have to piece out my imperfections with your thoughts and imagine the illustrations (with the exception of the one provided above) for yourself. If you give Iago a handkerchief, he’s probably going to want to frame Desdemona with it. As he thinks about how to go about framing Desdemona, he’ll probably want to explain it with a soliloquy. He’ll go on and on about making his fool his purse and bringing a monstrous birth to the world’s light. As he delivers his soliloquy, he’s going to get thirsty. He’ll want a drink. But he won’t want to drink alone. He’ll invite Cassio over. Cassio will say that he has very poor and unhappy brains for drinking, but Iago won’t listen. He’ll keep calling, “Some wine, ho!” and making Cassio drink. Cassio won’t be able to hold his liquor. He’ll start a fight and wake up the whole house. When the house wakes up, Iago will pretend to be Cassio’s friend. He’ll listen as Cassio says, “Reputation, reputation, reputation! O, I have lost my reputation! 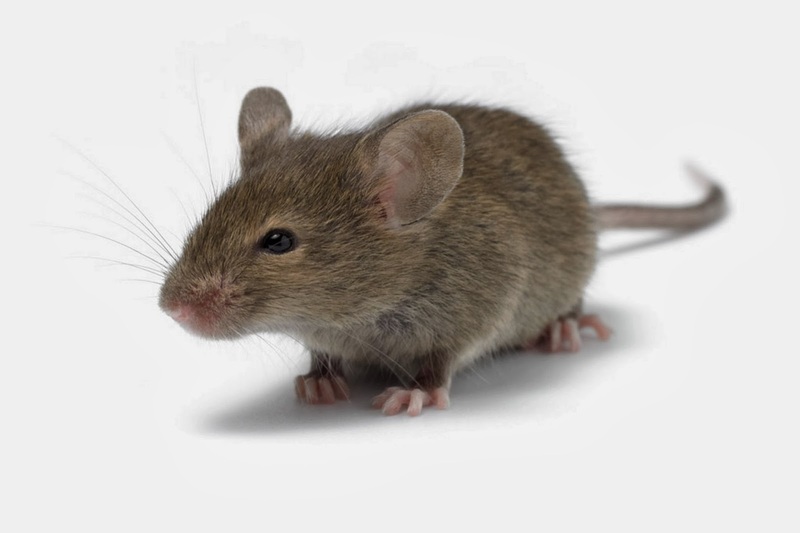 I have lost the immortal part of myself, and what remains is bestial,” but he’ll be rejoicing inwardly at Cassio’s downfall. Cassio will be so sick that he’ll turn green. Cassio’s turning green will make Iago think of jealousy, the green-eyed monster which doth mock the meat it feeds on. And that will remind Iago of his own desire to bring Othello down. He’ll tell Othello that Desdemona isn’t faithful to him. He’ll make Othello so angry that he’ll want to put out the light and then put out the light. When the light goes out, Iago will think that it’s time to get rid of any witnesses to his perfidy. But he’ll be too late. He’ll get involved in a huge scuffle over who killed who and why and who lied about what and why. In the scuffle, he’ll get a bloody nose. And if he gets a bloody nose, he’s going to need a handkerchief. And if you give Iago a handkerchief, you just know he’s going to want to frame Desdemona with it. I loved the book and I love this version. Very clever. Well Done. Thanks very much, though I'm not sure I believe the "average" in your signature. Clearly, you have taste and style, putting you well above average. Bardfilm is normally written as one word, though it can also be found under a search for "Bard Film Blog." Bardfilm is a Shakespeare blog (admittedly, one of many Shakespeare blogs), and it is dedicated to commentary on films (Shakespeare movies, The Shakespeare Movie, Shakespeare on television, Shakespeare at the cinema), plays, and other matter related to Shakespeare (allusions to Shakespeare in pop culture, quotes from Shakespeare in popular culture, quotations that come from Shakespeare, et cetera). Shakespeare, William. The Riverside Shakespeare. 2nd ed. Gen. ed. G. Blakemore Evans. Boston: Houghton Mifflin, 1997. All material original to this blog is copyrighted: Copyright 2008-2020 (and into perpetuity thereafter) by Keith Jones. The very instant that I saw you did / My heart fly to your service; there resides, / To make me slave to it; and, for your sake, / Am I this patient [b]log-man. Link to Amazon to help fund Bardfilm. KJ is a professor of English and Literature at a small Christian liberal arts college. In addition to courses entitled “Shakespeare” and “Introduction to Shakespeare,” he teaches a course called “Shakespeare and Film.” Recently, he developed a course titled “Modern Shakespearean Fiction.” Shakespeare is also integrated into nearly all his other courses, including courses on the Literature of Food and the Literature of Humor. Additionally, he is the author of Bardfilm: The Shakespeare and Film Microblog. But you may have known that already. Share this blog with your fellow twitterers.